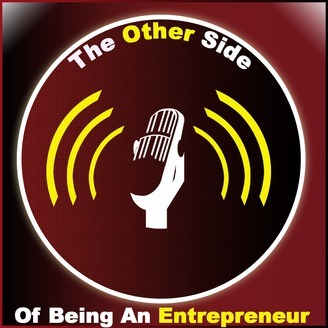 The Other Side Of Being An Entrepreneur was created to help entrepreneurs discover what it takes to be happy, successful, and to show them that they are not alone with their challenges, and stuggles. 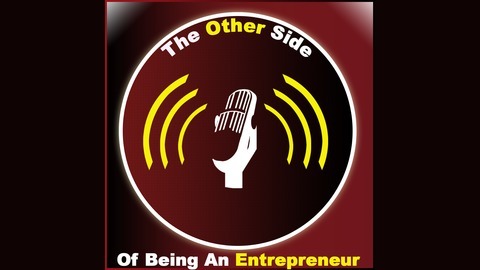 This podcast is different from many other business podcasts in that it sheds the surface level approach that talks only about strategies, tips, and techniques and dives into the deepest parts of the entrepreneurial identity, the real truths, and what is going on inside the mind of entrepreneurs. You’ll discover the biggest struggles, fears, and challenges successful entrepreneurs have and what they have done to overcome them. For show notes, links, and other information go to http://www.erikrokeach.com/podcast. When it comes to living the life you’re supposed to live there is an endless number of paths you can take to get there. But for a lot of people the path they choose may not be the one that is actually right for them. There are all sorts of limiting beliefs, societal influences, and actions that can lead to a very different direction. And that direction could be the one that keeps you from living the life you’re supposed to live. It’ll cause a bunch of issues and a massive feeling of unhappiness. There’s also a good possibility that life could be a lot more challenging than it needs to be as well. And you’ll hear what it’s like after he made the shift. It’s an incredible story of tragedy and also successes. But it was this journey the brought Tedd to a tipping point. He could either continue to live the way he was living or change. He took the leap and in the end he found his new path. 1) This is one of the longer interviews on here, but it had to be that way to capture the whole story. 2) For some reason, there are a bunch of “popping/ cracking” noises whenever I speak. I have no idea why this happened and unfortunately, there was no way to remove them. The good thing there’s not a lot of talking on my end. So just wanted to give you a heads up on this. How Tedd ended up in Thailand. How his first business came into existence. How the massive shift from offline to online happened. What force is driving him to make a bigger impact on the world. The incredible family story that shaped the rest of Tedd’s life. How he felt for years after not making the business shift he had to make. What the catalyst was that caused him to make the shift. What he ended up doing with his former business. How they made the big breakthrough in their new business that led to the best financial month ever. The internal struggles and fears he went through when failure hit. How Tedd got into Ayahuasca and what he learned from that experience. What finding his aligned purpose actually did for him. Who benefited the most from the Ayahuasca experience. How people can create a balance in their lives to live a better life. Why peak experiences are important for any sort of growth. Tedd’s story will be a fascinating one. The post Living The Life You’re Supposed To Live With Tedd Ryce appeared first on Erik Rokeach.